The digital divide in this country is accelerating, with poor and minority kids still less likely to have access to critical tech tools, from laptops to the Internet. 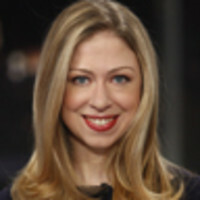 Chelsea Clinton on why this threatens all our futures—and how to tackle it. Although the term “digital divide” is generally associated with the 1990s, multiple digital divides still exist today. “Digital divide” first referred to the unequal distribution of personal computers and Internet access in the mid-1990s after eye-popping technology growth. Between 1991 and 1996, the number of personal computers in the U.S. grew by more than 3,000 percent, from 300,000 to more than 10 million, and access to the Internet rose by more than 1,300 percent. In 1996, 64 percent of schools had access to the Internet, but students attending schools in poorer districts and in majority-minority schools were much less likely to have access to computers or the Internet; a majority of minority students had no computer with Internet access at home (PDF). I know I was very lucky to have parents who understood how important technology was to my education—I remember when Santa brought me a Commodore for Christmas in 1987, and when my parents gave me a new computer for my birthday in 1993, just in time for the final push of 8th grade toward the real work of high school. That was the first time, too, I was lucky enough to use a computer in a class (math, not surprisingly). Many families don’t have the resources my parents did to give their children computers at home—and many computers in schools aren’t the ones we read about as the latest models from Apple or Lenovo. In 2010, it was still true that less than half of minority households had access to computers with the Internet, versus more than two-thirds of white households, according to data from the Department of Commerce. Even though more than 90 percent of schools today have computers with Internet access, the computers are often too old to be compatible with current educational software and the Internet access often is slow and unreliable. Unfortunately, as in the mid-1990s, it is generally students in poorer and largely minority schools who have less access to the computers, software, and online learning tools that could possibly make a real difference in their education. However, the technology access gap is not the only digital divide confronting students today. A central theme at the NBC Education Town Hall I co-moderated in Boston this month was that another digital divide is emerging: between those educators, parents and students re-imagining teaching and learning for the 21st century using technology, and those who are not. Boston Mayor Tom Menino spoke about “Tech Goes Home,” a program in Boston that fosters digital literacy for families, not just students, and gives students who participate the chance to take home a laptop with a built-in Internet connection. Joel Rose, founder of Teach to One, talked about how technology can enable personalized education, so that each student, every day, is challenged to reach his or her potential, with teachers then able to focus on the students who need the most help, not teaching to the average. Although there is not yet enough data on whether either of these programs is really making a difference, we know the current system is not working for our kids or our country. Recent data shows why tackling the digital divides within the U.S. and between the U.S. and other countries is so critical. In the 2009 Program for International Student Assessment, U.S. students ranked 14th in reading and 25th in math compared with students in other industrialized countries. The Council on Foreign Relations Task Force on U.S. Education Reform declared earlier in 2012 that the U.S.’s failure to educate our students for the 21st century—including how best to use technology—poses serious threats to the U.S. economic growth and national security. The World Economic Forum (WEF) released its global competitive index in early September; the U.S. fell two spots in as many years and WEF cited an inadequately educated workforce as a key driver for the drop. Technology is not a panacea for closing the achievement gaps within the U.S. or between the U.S. and other countries. We know there is no substitute for a great teacher. We know that children who attended prekindergarten are more likely to be productively employed at 25. But we also know that technology has to be part of any answer to preparing U.S. students for the jobs of the 21st century. There are programs across the country that are starting to show real results, like in Mooresville, N.C., where giving a laptop to every child increases concentration in school, grades, and test scores. We need to learn from what is working and incentivize other districts to adopt what works. We also need to keep experimenting with technology and support bold ideas, something the Gates Foundation and the U.S. Department of Education’s Race to the Top are already doing. Finally, we have to make the necessary investments to close the digital divide that has persisted now for a generation—we need more laptops, universal high speed Internet access in schools, longer school-open hours to shrink the digital divide kids face during the hours and days they’re not in school and training for teachers so that they understand how best to use technology—and so they’re as fluent in tech speak as their students. We have to tackle all aspects of our digital divide or we risk failing more students and falling further behind in the global race to the top.